In the mid-20th century, designers believed that good design could improve our lives. 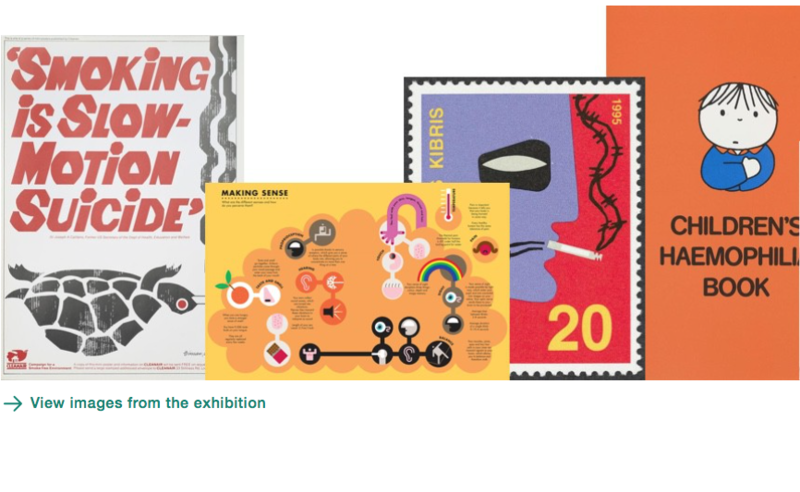 At the Wellcome Collection in London, Can Graphic Design Save Your Life? explores the power of the visual image in health and healthcare. While psychologists sometimes use images in interventions, most psychologists lack the skill with imagery of graphic designers, and many interventions rely on text or speech. The exhibits on show use visual design to change behaviour, improve communication, or gain attention. Some aim to change attitudes and persuade, perhaps aiding health (e.g. choice of the least appealing colour for plain cigarette packs) or against health (e.g. tobacco advertisements). Some improve medical and health education, using diagrams and informational design. Some improve hospital communication and experience (e.g. Communi-Card 1 and 2). Some aim to change behaviour during epidemics (e.g. the fear-based anti-AIDS campaigns of the 1980s). Some focus on medication choice, dosage, adherence and sales, and reducing errors. Some draw attention to campaigns (e.g. the Things On Your Mind campaign run by the Samaritans). As an academic health psychologist, I wondered whether psychologists could use graphic design more skilfully. Mention of psychology or scientific evidence was rare. Yet again and again I saw creative uses of graphic design as intervention to change behaviour, or psychological outcomes (e.g. communication, distress, knowledge, etc.). Often creative visual imagery seemed to be a delivery method for behaviour change techniques. What if applied psychology could harness graphic design as a powerful vehicle for our interventions? What if psychologists and designers worked together to create psychologically informed, evidence-based graphic design? I think then graphic design really could save lives. The exhibition ran until 14 January, but an accompanying book under the same title is published by GraphicDesign& (www.graphicdesignand.com). It features many of the exhibits plus additional commentary.